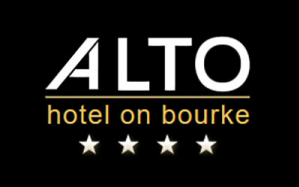 The Alto is our hotel of choice whenever visiting Melbourne because of its excellent location, professional, friendly and always helpful staff across all areas, quality dining options and well appointed rooms and apartments. The Alto\'s commitment to ecotourism and established green credentials are another incentive to stay. We regularly sing your praises to work colleagues and friends looking for superior value accommodation in Melbourne. A peaceful haven and retreat in the midst of a vibrant cosmopolitan city - a hidden gem! As repeat guests, we value the personal touch accorded to us on each visit. Even though the room was a little small it was quiet for a central location and good value. I\'d certainly stay again when going to Melb. CBD.